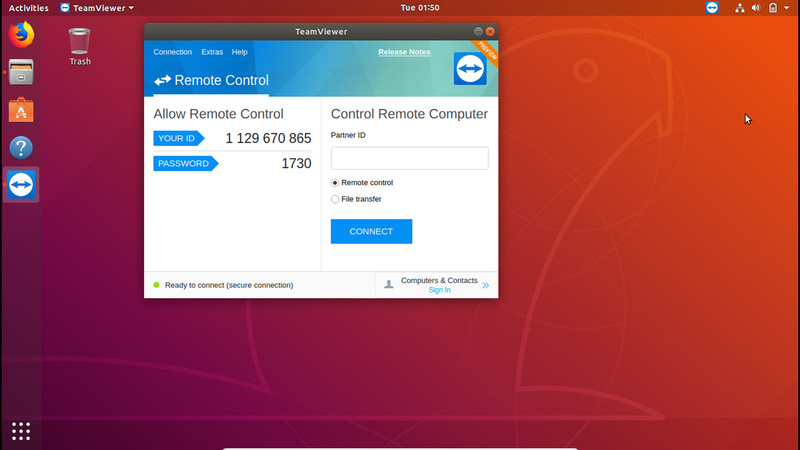 This tutorial explains how to install TeamViewer in Ubuntu 18.04 LTS and use as a remote desktop server. While there are many desktop sharing applications are available for Ubuntu 18, TeamViewer is by far the best. TeamViewer is super easy to setup and use. More importantly, it is cross platform which means you can share desktop with any operating system. First, open the web browser, go to teamviewer.com/en/download/linux/ and download the 64bit deb package for Ubuntu 18.04. After the download if finished, right click on the deb package and click "Open With Software Install". Then, click on the install button to install TeamViewer 13 on Ubuntu 18. 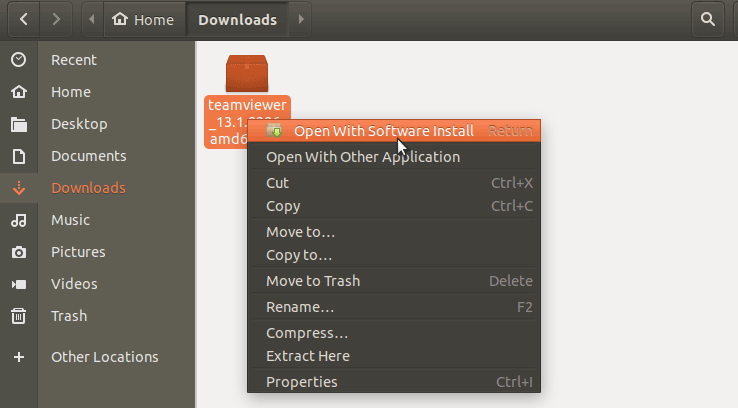 After the installation is finished, Go to Ubuntu software menu and you will see the desktop shortcut to open TeamViewer 13. When you open the TeamViewer Control panel, you will see your ID and the password in the left hand side of the Control panel. To access your Ubuntu desktop remotely, you’ll be using this ID and the Password. Note that, the password change every time you exit and reopen the TeamViewer. You can set up a permanent password by going to Extras > options > security (not recommended). But always use the temporary password when you share your Ubuntu desktop with someone else. To access someone else desktop, you need to have TeamViewer ID and the password of the remote computer. When you know the ID, Type the ID in the Partner ID field and click on the Connect button. If you want uninstall TeamViewer, Open the Ubuntu software center and click on the "Installed" button to list installed applications. From the software list, find the TeamViewer and click on the Remove button. TeamViewer is commercial software, but free for the personal use. You can continue using TeamViewer in your Ubuntu 18 desktop for free, as long as it is for personal use. The TeamViewer remote desktop application is available for Linux, Mac OS X, Windows, Android and other platforms to facilitate remote desktop connections.